414 pages | 71 B/W Illus. A health professional’s comprehensive nutrition handbook that includes all nutrients, nutrient functions, "good" and "excellent" sources of nutrients, nutrient assessment, and deficiency symptoms, as well as summaries of foods, food groups, and phytochemicals. 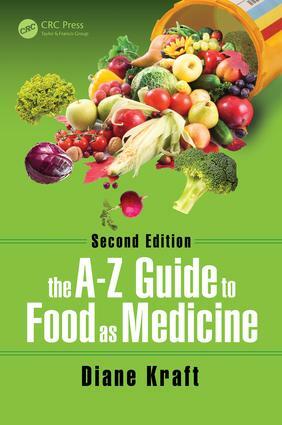 "This book can be used as a filter for ‘junk science,’ which clutters many information resources and causes a lot of confusion among the public…the guide is a "go to" resource when trying to sort fact from fiction in response to the burgeoning nutrition information that is everywhere." Diane Woznicki Kraft, MS, RDN, LDN, is a biology instructor at Alvernia University in Reading, Pennsylvania and a clinical nutritionist. She holds a Master of Science degree in nutrition from New York University and a Bachelor of Science degree in Nutrition from Penn State University. She and her co-author created the first edition of this handbook as a reference for health care professionals to access scientific findings on the health aspects of foods, food groups, nutrients, and phytochemicals to assist clients educationally on diet and nutrition. She has also authored consumer and professional articles on nutrition for The American Council on Science and Health and The American Academy of Nutrition and Dietetics.